My children LOVE to dress up...every single day! So I love to have an assortment of costumes and characters for them to become! One of their favorites is to be a firefighter! They love to run around the house putting out all the "fires" and calling for back up! 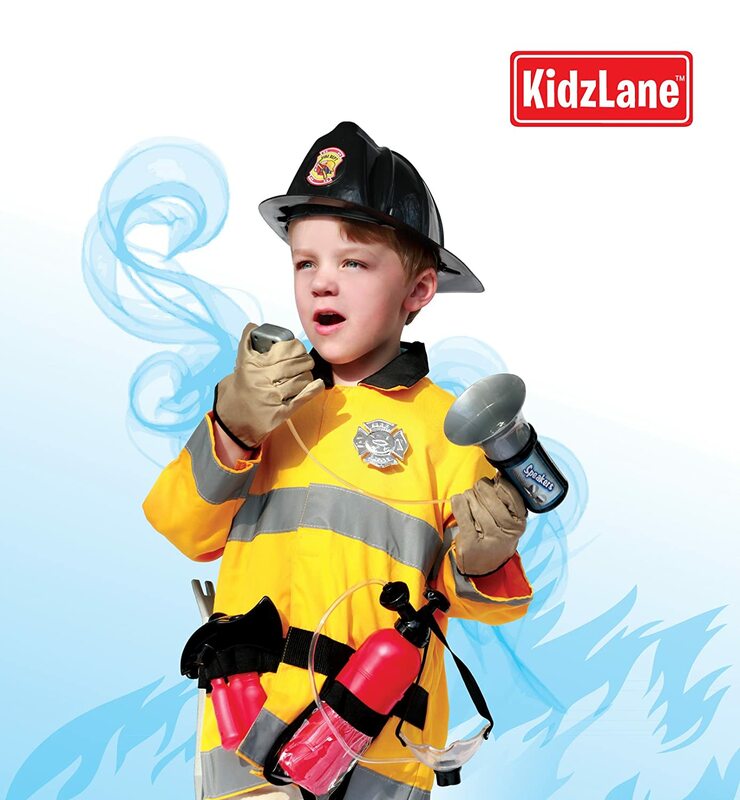 They love to put on their Kidzlane Deluxe Firefighter Set and feel like a real everyday hero! They take calls on their realistic fireman speaker with real firefighter radio sounds, and the fireman badge pin will give them a sense of authority and command. 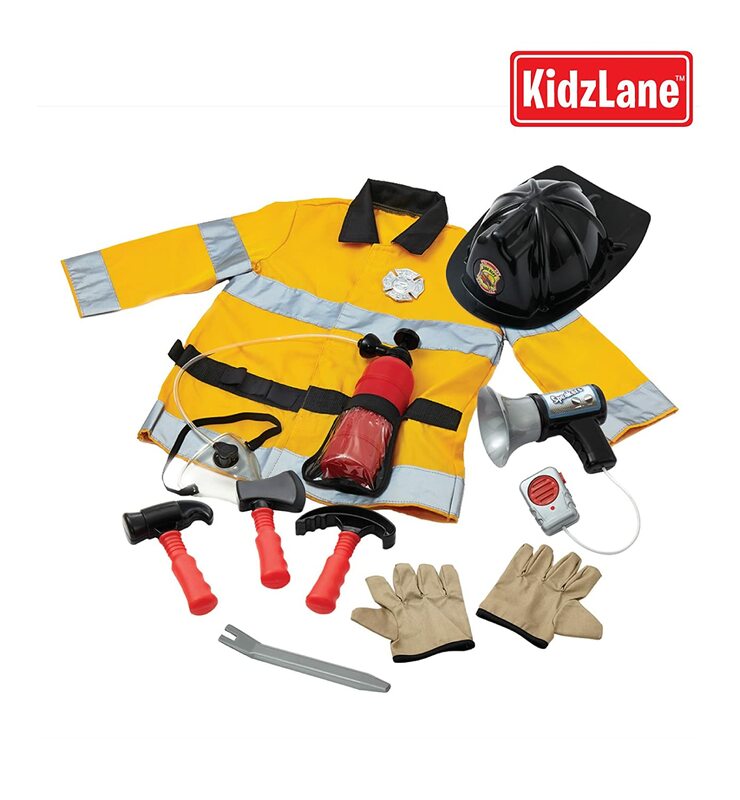 The fireman dress-up costume includes high-quality gloves, firefighter jacket with reflective strips, hat, and even an oxygen tank and mask so they can go into those pretend infernos without being overcome by imaginary smoke! The set includes all the necessary pretend firefighter tools, like hatchet, hammer, crowbars and brick hammer, all made of safe, heavy-duty plastic. The costume conforms to all child safety standards, so you never have to worry about your child's security. 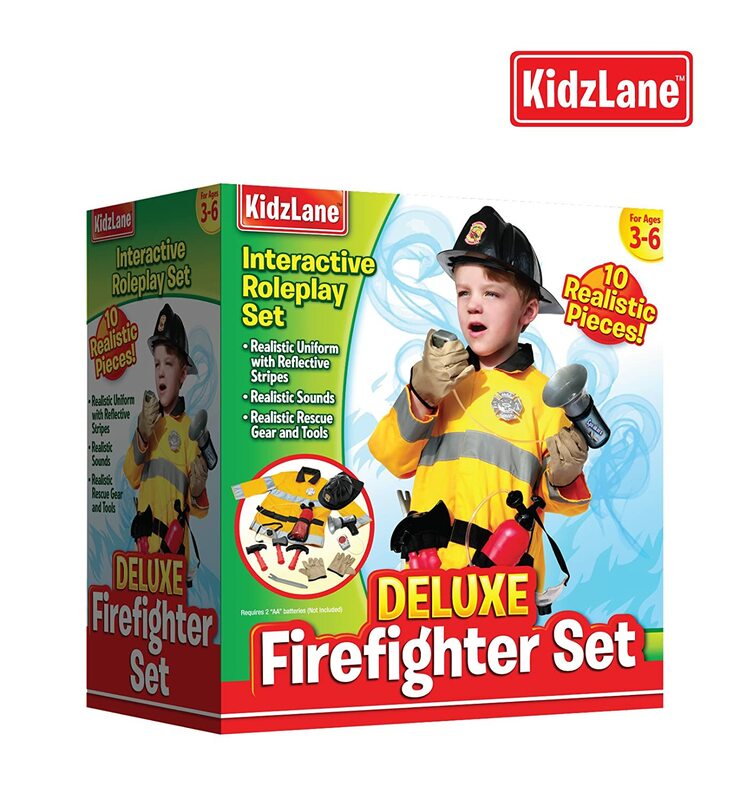 With the Kidzlane Deluxe Firefighter Set, you can rest assured that when your little firefighter informs you that you are trapped in a pretend burning building, he or she has everything they need to get you out of danger!